With the overwhelming number of applications and resumes received daily, recruiters MUST do all they can to manage the flow, which means relying on resume filtering software. These tips will help you optimize your resume so it can dodge the natural software filters and get you in a room with a real human being. 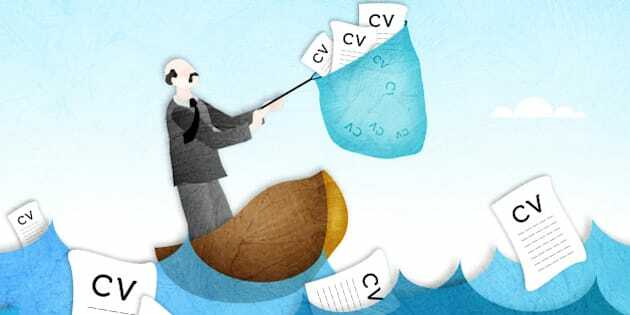 With the overwhelming number of applications and resumes received daily, recruiters MUST do all they can to manage the flow -- thus resume filtering software. What follows here varies by company and position but for now let's work from this premise: In the larger (and not so large) companies your resume/application is not initially viewed by a "real, human person" but is scanned and graded by a piece of software and then archived until tho se results are called up. What this means is that only those resumes that 'make the grade' (literally) will rise to the top of the pile to be reviewed. To help you successfully negotiate this software here are some first-glance "do's" and "don'ts." •	DO NOT include your physical address on your resume. Professional recruiters don't want me to tell you this. It is often their very first point of elimination. You might be able to cure cancer but you live too far away from the job site! As a result your resume might not receive any consideration whatever. You are willing to relocate or carpool but you never got the chance to express that you understand that as a consideration. •	YOU MIGHT not even want to include your city or town on your resume. I live in a small town outside of Houston. My resume would state "Houston, TX." When the recruiter calls to ask me what part of town I live in I'm going to respond with "Where's the job located?" Get my drift? She had to call me creating a dialog. YOUR RESUME must be conservative to negotiate filtering software. o	No script or designer fonts. The software might reject your document. o	No logos or graphics. Almost guaranteed to get your resume rejected. o	No continuous lines across the page. Filtering software may read a continuous line as a page break and go on to the next file meaning you just got passed over without a complete read. o	No giant fonts. A common mistake of the recent graduate trying to fill space on the page--their name in 36PT bold. The software in most cases will be set not to read PT sizes in excess of 16 or even 14PT. I am seeking a position as (use the exact job title) with (insert company name), reference # ______. I am seeking the Director of Mechanical Engineering position with Dow Chemical Company, reference # 12345. •	Know that the software is looking for an exact match of the job title. Make it easy for this to occur. Make it easy for the reader (and the software) to "like you." •	It might seem redundant to mention the name of the company that you have just sent your resume to but my best information tells me that you might get points in the scoring by using the company's name. •	If a position contains a reference number, by all means use it. Make it easy for the recruiter to route your resume to the right person. You can find sample documents on my website, RickGillis.com/job. I wish you Good Job Hunting!